Picturing Disney: When Fairy Tales Come True: An Up-Themed Disney Engagement Party! So you may know of me if you have followed Picturing Disney from the beginning (and we were still located at blogspot.com). You may have figured out my personality from the way I write, review, share, and photograph. Whether this is your first read or you figured this out long ago, let me say... this was the single best moment of my life thus far. Monique and I designed the cards together. 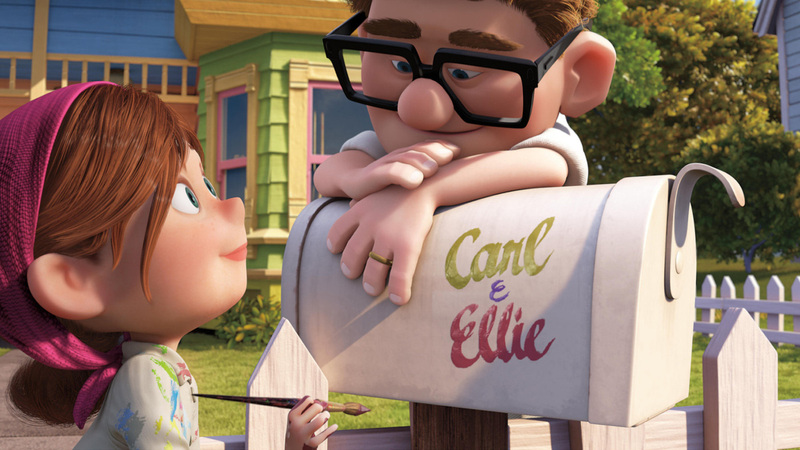 My fiancee and I are huge fans of "Up" for many reasons, some are personal and private, others are the same as the reasons you love Carl and Ellie. We went with an Up theme for our announcements and invites and really our whole party (and probably our wedding)! I added a touch of Doctor Who to the back of our announcements because... well, anyone who has watched any 10th Doctor episodes knows I do not need to finish that sentence! The party invites were not flawed at all- they are and were perfect! I just had to block out our phone numbers so haters and trolls won't hate and troll. What's next? Happily Ever After!